All of the content you expect from RTG! 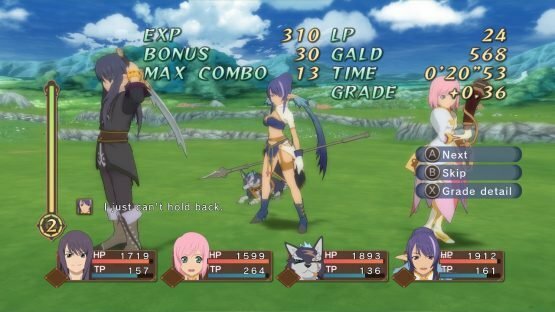 Tales of Vesperia has always been a missing link in my love of the Tales series, as a game that I had no means of playing (outside of imports) and yet one that was more widely praised than any other title in the whole franchise, and so I spent years of generally feeling sad about not playing it. Imagine my joy when, at E3 2018, Bandai Namco announced Tales of Vesperia: Definitive Edition for Playstation 4, Xbox One, Nintendo Switch and Steam. Not only would I finally get to play this game, but it would have all of the trimmings of the later Japan-only PS3 release such as new playable characters and battles! Set in Terca Lumireis, a world which uses an energy source called blastia for all its needs, including creating protective barriers around its cities, a dark plot begins to use the blastia for more nefarious purposes. 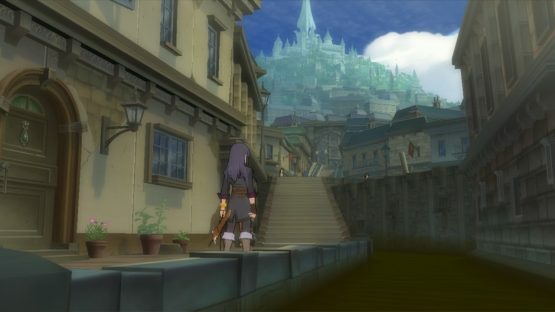 Tales of Vesperia follows Yuri Lowell, a former knight that takes it upon himself to recover a blastia that goes missing from his neighbourhood, taking him to the Imperial Castle. On this initial mission, Yuri gets thrown into prison only to escape and run into the laughably dense Estellise, who is looking for his friend Flynn. This sets off a long chain of events that see the pair meet and enlist multiple weird characters, including a hot-headed mage and a cute little pirate girl, and take on multiple factions that have different plans relating to the abuse of blastia. 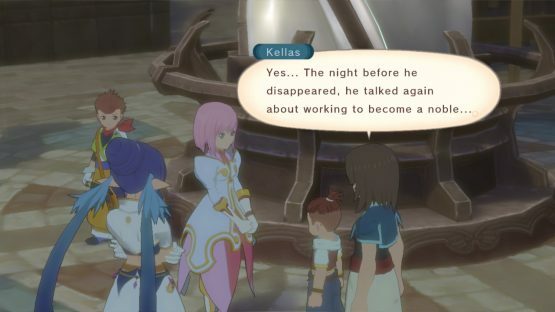 With the Tales franchise though, the main story beats aren’t the only narrative to be found in the game, with optional Skits appearing occasionally that tell more of the characters and their relationships with one another. These can be ignored entirely, but they add so much to the journey, with many of the skits seeing the characters discussing recent events. The game plays out much the same as most Tales of games do, so anyone that has played a game in this franchise will know what this is all about. 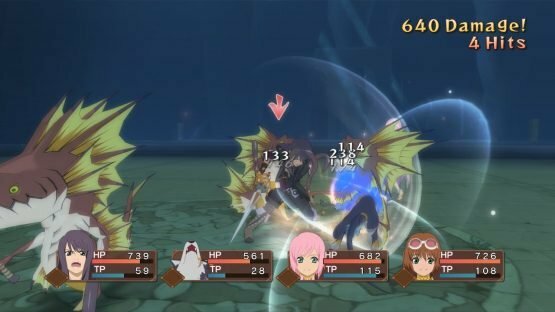 There’s a lot to see and do in Vesperia, but in all likelihood you’ll spend most of your time either exploring the various locations of Terca Lumireis, or battling the monsters and other adversaries that inhabit it. Exploration is in third person, with forests, sewers, castles, and just about every fantasy location represented. Cities and towns will contain NPCs to interact and shop with, and most of the dungeons will usually involve some sort of minor puzzle-solving to get through, ending with a powerful enemy to take down. Most of the puzzle-solving revolves around the Sorcerer’s Ring, and object that interacts with the aer around Yuri (some sort of mystic atmospheric energy) to open doors or move objects. It evolves throughout the game to grant additional uses, changing its colour in the process, and it has one more ability – it can stun enemies around you. Enemies are found just wandering around, giving the player the choice as to whether to engage most of the time. If they are stunned with the ring first, the enemy will be temporarily incapacitated at the beginning of the fight. Otherwise the battle begins immediately with the player in control of whichever character is at the head of the party. The combat plays out in the Tales staple, the Linear Motion Battle System. This allows the player to string together a combo of hits using the basic attacks and Artes, which are special abilities that can be mapped to button combinations for ease of use. This offence is balanced out with a block, which will negate some damage, giving a fluid feel to the battles. Furthermore, the other characters will act out based on AI, if acting a little heavily on the Artes, meaning that the player can (mostly) focus just on themselves. The other characters will request using items if needed, which I couldn’t suggest switching to “Accept” in the options menu more, so longer battles can become incredibly strategic in nature. The end result is a kind of controlled chaos in which there is constantly spectacular combative moments going on, but it always feels within the player’s immediate control. This makes the fights all unique, even if fighting the game enemies, as the enemies and your allies rarely act the same from battle to battle. In terms of other things to see and do, Tales Of Vesperia is kind of a big deal. Firstly, there’s the synthesis system that allows you to upgrade or even create new equipment once you have the resources available. Secondly, there’s other activities and mini-games such as (believe it or not) snowboarding, and the return of the Coliseum. Finally, or at least finally for this review as I really don’t want to ruin anything, there’s the Wonder Chef. This master of cuisine will play an elaborate game of hide and seek throughout the world. Find him and you discover new recipes to bolster the dishes you can cook, of which I’d greatly recommend, as the food items can heal and buff your party inexpensively. All of this gameplay content is bolstered by optional content too, with every character beginning the game with a set of Titles that will alter their physical appearance in game to any of a large pool of references; including other Tales titles, other Bandai Namco properties, and even some popular anime series get a look in too. Visually, the game is stunning, both docked and undocked. The gorgeous anime cutscenes interweave perfectly into the distinct cartoonish world of Vesperia. All of the characters are distinctive with some fantastic voice acting, the monsters are varied and well-designed, and the world itself is a bright playground that’s very easy to fall in love with. The soundtrack itself is an incredible masterclass in visual design too, taking reference to multiple genres of music in a score that never ceases to amaze or sneak its way inside your head for that sensation when you hum something out of nowhere and can’t quite place it. With the punchy sound effects and the aforementioned voice acting, Vesperia sounds incredible. I won’t lie. I now see why Tales of Vesperia is rated so highly and so widely loved. It is easily the pinnacle of this already stellar franchise; with a fantastic story revolved very strongly around themes of justice, intensely likeable characters, and tight but immersive gameplay, all taking place in a complex and visually arresting world. Also as this version is an upscaled port of the PS3 version of the game, this means that all of the additional content contained within that version is here. 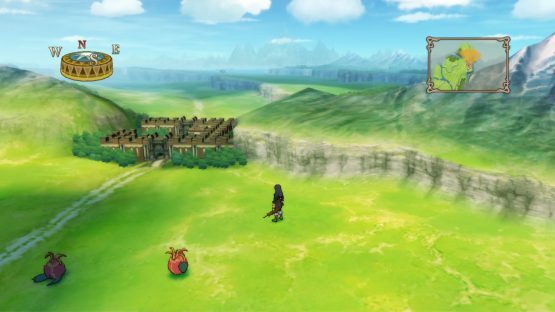 This includes the addition of two playable character, new encounters, sub-quests and a set of new abilities to use in-game too; so even those that played the original game will find plenty of fresh things to do here. 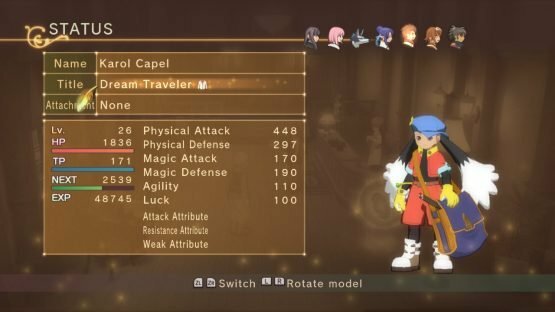 I think that Vesperia is also quite easily one of the best examples of the JRPG genre on the Nintendo Switch, if not full stop, and so I urge you to pick it up if you haven’t played the game before, or even if you have. There’s nothing quite like it, and I’m certain that you will love the journey with Yuri and the whole gang, I know I did. This review was originally posted on Rice Digital on January 10th 2019.